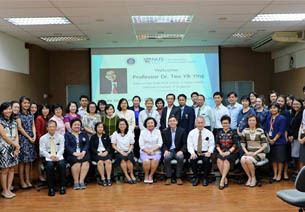 After being introduced and warmly welcomed by Associate Professor Dr. Chanuantong Tanasugarn, Dean, Faculty of Public Health, Mahidol University, Professor Yik-Ying Teo, Dean of the Saw Swee Hock School of Public Health, National University of Singapore delivered his presentation, “Future Structure and Direction of a Public Health Faculty”. The engaging delivery was followed by a lively discussion including faculty members, program managers and department heads. 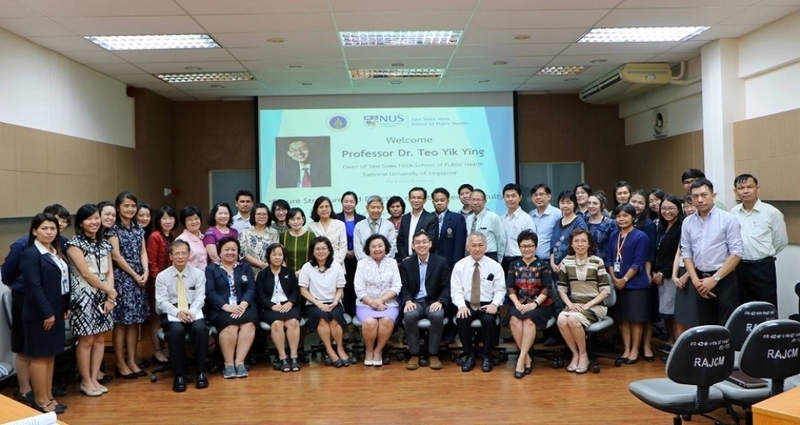 The Kanda Vathanophas at the International Public Health and Environment Training Center, Phaya Thai Campus was packed to full capacity the afternoon of 14th November 2018.